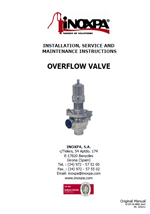 The overflow valve has a sanitary design and it is designed to prevent risks and possible failures caused by pressure surges in the plant. 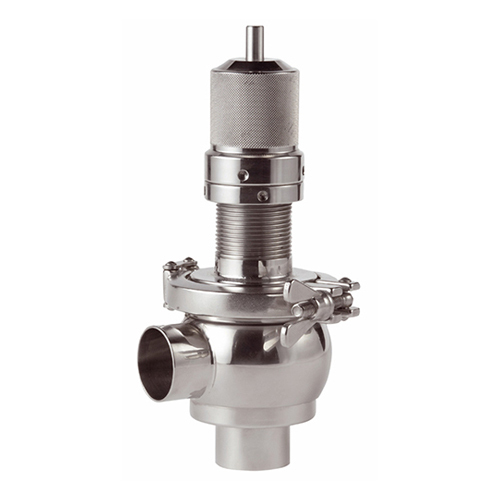 With a sanitary design and fully manufactured in stainless steel, the 74700 valve is the most suitable option for protection of facilities in the dairies, food, beverages, pharmaceutical and fine chemicals industries. 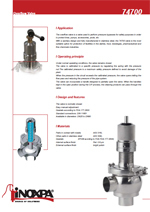 Connections FIL-IDF, BS-RJT, SMS, Clamp, flanges, Macon. Gaskets available in NBR and FPM. Several operating ranges (changing the spring). 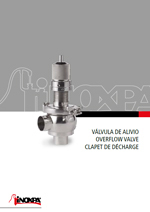 The assembly of the handle allows to partially open the valve in order to allow the passage of fluid for CIP cleaning (for use with positive pump bypass). Safety seal to identify the factory calibration.